Without strategic direction it is hard to get where you want the organization to go. This Webinar offers you a process for reaching your organizational goals. Strategic plans help your organization, or department, set the roadmap to make a significant mission impact. 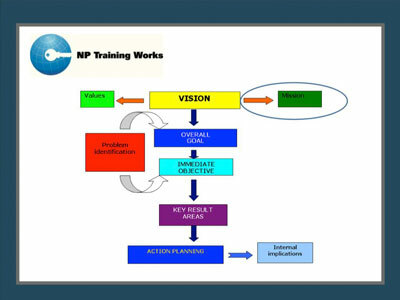 Through this Webinar you will learn a model for completing a Strategic Planning process in your organization. It covers the entire process from planning to defining the strategic framework and then creating a process for implementation activities. You will learn how to create a strategic framework that gives the activities coherence and direction, ensuring that your strategic plan becomes a living, breathing document that is fully utilized in the organization. You will also learn how to involve your board, staff, and other important constituencies in the process to increase your chances of successful implementation. In addition, you will receive leave-behinds that give you practical exercises and instructions to use during your strategic planning process.